RES HyperDrive allows individuals and teams to secure, sync, share and backup data without limits. 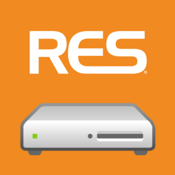 The RES HyperDrive app provides FREE, immediate and intuitive access to files independent from any geographic location. Browse through your entire documents library on your RES HyperDrive, share files and folders with ease, upload pictures and view documents.